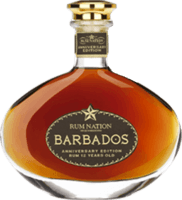 Have you found an online vendor selling Rum Nation Caroni 1999? 55% ABV. Bottled 2015 (so, 15–16yo rum). Luxuriously dry nose. Industrial lubricant, tar, petrol, and a hint of cherries. Touch of smoke. Big palate. Very oily mouthfeel. It's like this was distilled with old bicycle chains or something. Very long, oily finish. My first Caroni (according to Martin Cate, it's pronounced KEER-uh-nee, but I'll probably just keep saying kuh-ROH-nee). Somehow, this manages to avoid being offensive. It goes even beyond interesting (see Mosswood Night Rum for a similar rum that fails in this respect). Now, I wouldn't go so far to say it's eminently delicious—this is a highly challenging rum that must be taken in small doses—but it's certainly tasty to me. Cheers! Das ist mal eine Caroni Abfüllung nach meinem Geschmack und dann noch zum lächerlichen Preis von 50-60 Euro.Schwer und ölig,die typischen Caroni Aromen mit Ol und Teer und eine wunderschöne perfekt passende Süsse,extrem langer Abgang,für meine Geschmack besser als die 98er Abfüllung ,egal ob Batch 1 oder 2,der 99er ist deutlich harmoischer. 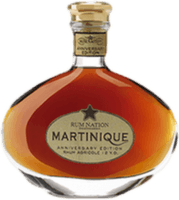 The taste and aroma are perfectly balanced, this is a rum with excellent caracter. The alcohol (55%) is present, but not aggressive. Nose: some tobacco. Aged at three places (Trinidad, UK, and Italy), bottled after 16 ys. The label (a postage stamp) is a great idea again.